China 5083 aluminum sheet with DNV GL certificate has been the ideal material for marine industry. Aluminum ship boats require less maintenance, has longer use period and fast travel speed, there is no doubt that such investments are necessary for fishing vessels or any other marine industry. Experience has shown that aluminum vessel or ships can be used for decades without any significant corrosion. In general, the 5000 and 6000 series of aluminum-magnesium alloys have excellent maritime resistance and especially seawater erosion resistance. The 5083 aluminum sheet, 5086 aluminum plate and 6061 aluminum sheet are recognized as the representative marine grade aluminum sheet. The thickness of the marine aluminum sheet is determined by the hull structure, the ship's specifications and the location of use. From the perspective of lightweight, thin china 5083 aluminum sheets are generally used as much as possible. 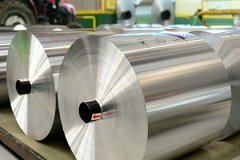 However, the depth of corrosion of the aluminum plates during use should also be considered. The commonly used aluminum sheet plates are thin sheet with the thickness above 1.6 mm and thick plate with the thickness above 30mm. In order to reduce the welding, a 2.0m wide aluminum plate is often used, and a large ship uses a 2.5m wide aluminum plate, the length is generally 6m, and some special specifications are used according to the shipyard contract.